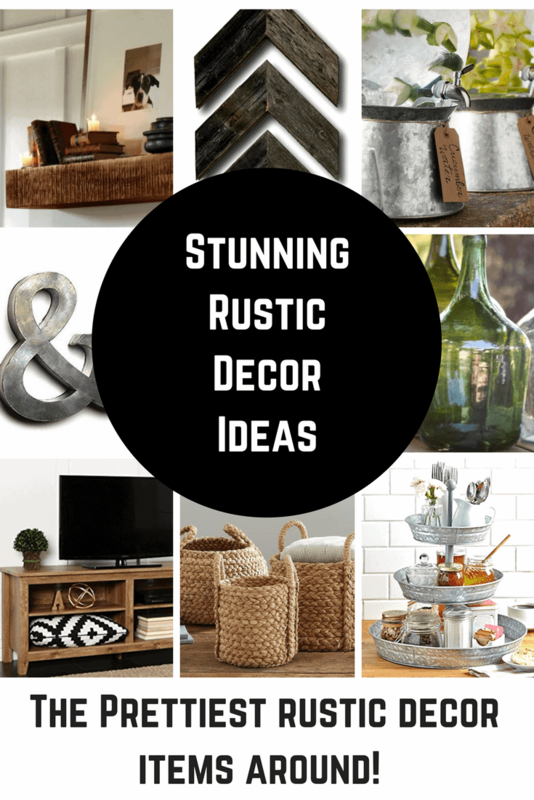 I am really loving all of the rustic home decor ideas that are so popular right now. I love it when old things become new again, especially when it comes to decorating my home and DIY’ing. The best part about rustic home decor these days, is that you don’t have to go to every thrift store and yard sale around. 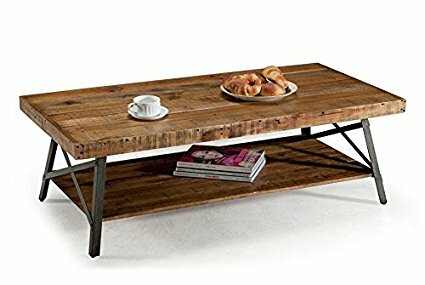 You can purchase new pieces that have a rustic flair and they are ready to outfit your home right when they arrive. Don’t get me wrong, I love a good yard sale, but sometimes I find it hard to find those amazing finds that I see on the web. I love these beautiful works of art. They add so much interest to any room. 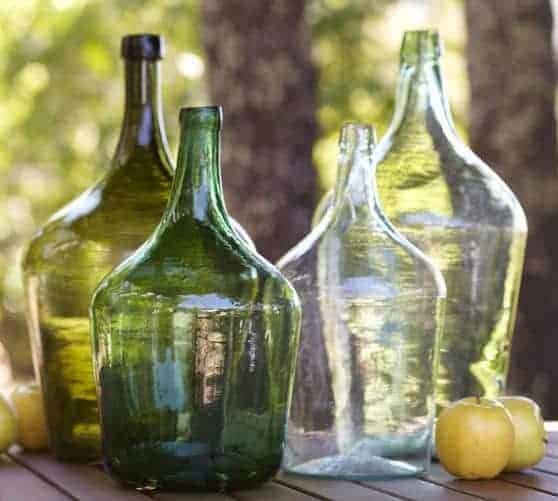 You can fill them with leaves or flowers. To me, I love them with nothing in at all. Just look at those beautiful colors… the greens and even the clear and those lovely shapes! Sturdy Wood Dining Furniture See here! 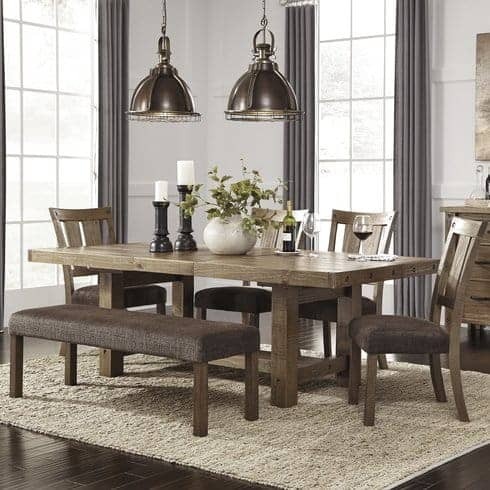 A rustic dining room is one of my favorite decorating styles. Just look at that sturdy table… she is beautiful. The finish is absolutely stunning! I also think that combining chairs with a bench is a signature rustic chic move that adds loads of seating to your room. That really helps during the holiday season. The lights are knocking my socks off, too! 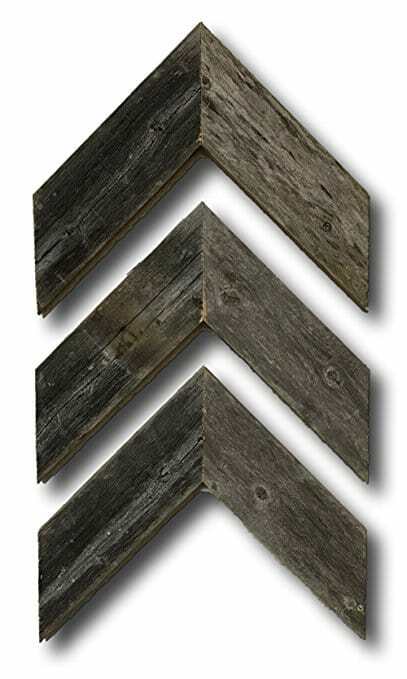 If you have looked at any rustic room, you are bound to find an amazing work of art made from barnwood. I love this set of arrows. They are rustic, but also have a bit of a modern or boho vibe. So many styles that it will be a natural fit with. It is also so fun to have wall art that isn’t just a picture frame. 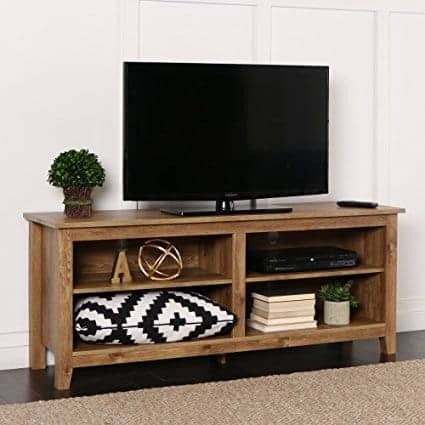 I love this barn wood entertainment center is such a great transition into rustic decor. I love the clean lines, but the notched legs give it even more character. The wood finish will match any room, but depending on the accessories you choose, this can turn into an uber rustic piece. The best thing about barn wood is that it doesn’t have to be perfect and that works for me wonderfully. You would have no worries with the kids torturing a cocktail table like this one. 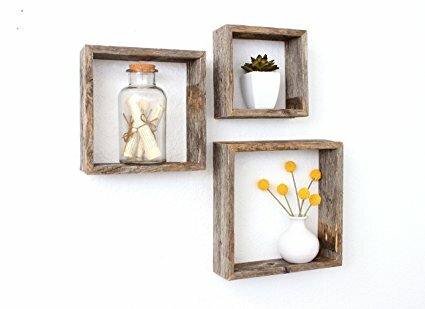 When I think of rustic decor, shelving immediately comes to mind. I love this studio wall shelf and all of the accents. Housing your wares outside of cabinets is definitely rustic and it adds so much charm. Just look at how the white dishes play off of the shelving and those oversized baskets are just dreamy. This particular shelf also comes in several finishes if you want something a bit different. 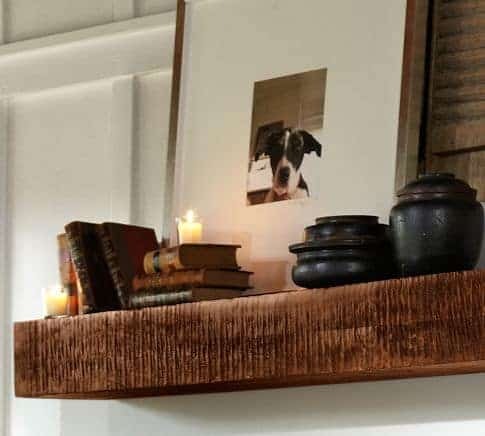 These rustic shelves are perfect for displaying your knick knacks. I love that they can fit into any small space and provide a place to show off a few of your favorite things! These Benchwright floating shelves are a personal favorite of mine. I love how chunky the shelf is. 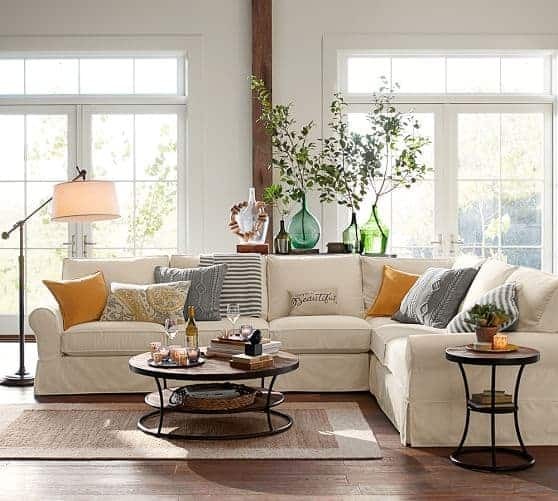 It really can anchor a room and give you additional storage space, which everyone I know needs! If you had asked me ten years ago if I thought galvanized metal decor would be popular, I would have thought you were fruit loops. I would have pictured cans from the hardware store, but alas no. 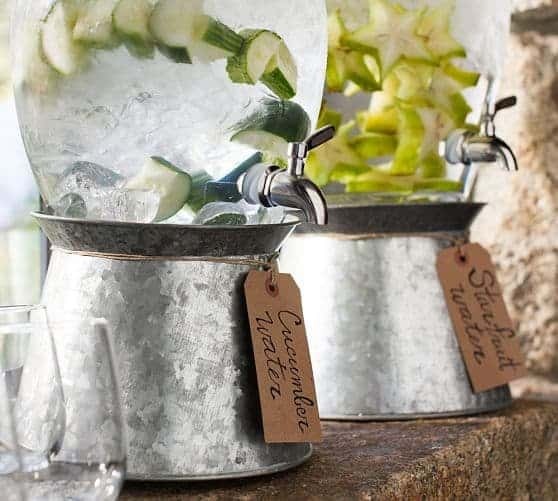 Galvanized metal decor is fabulous. 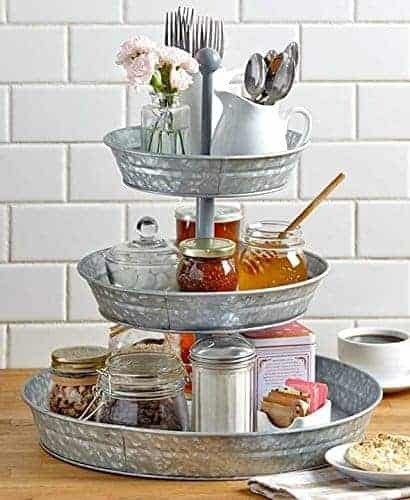 The tiered trays are always a home run for rustic decor. 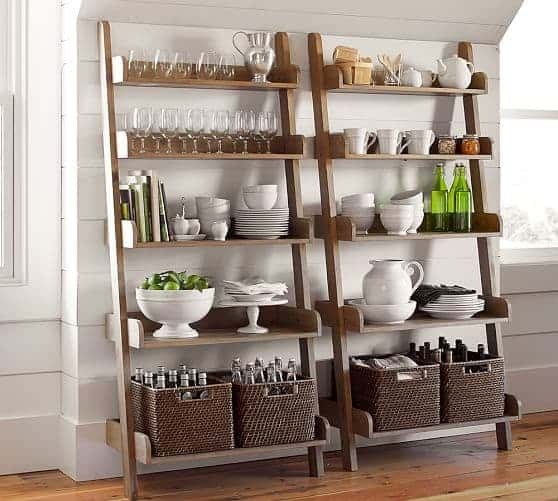 You can store just about anything on them and they are perfect for entertaining and everyday living. That, my friends, is a match made in heaven. I love galvanized drink dispensers. They are a casual, but much needed solution for entertaining. It is so much cheaper to have water, tea and lemonade instead of provided canned drinks and the like. 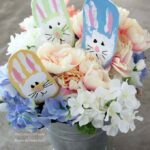 Plus, they look like you gave a grand effort for the evening, but it is super easy! In case you were wondering, I’ve never met a galvanized letter that I didn’t want to take home with me either! 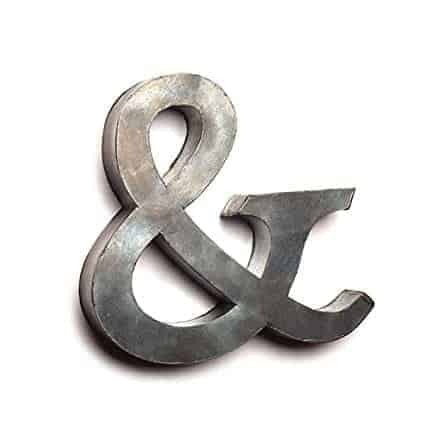 I love this ampersand. 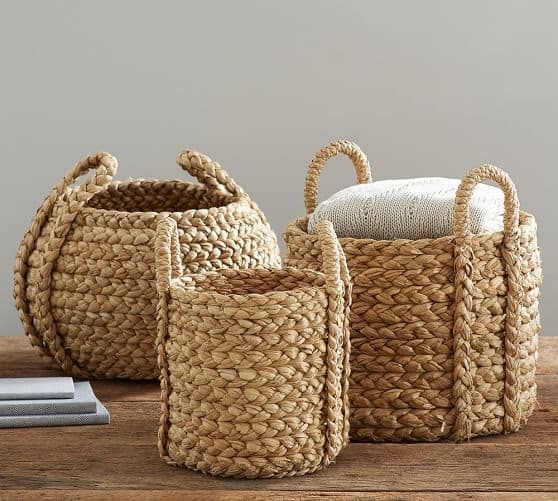 I think rustic decor would not be complete without the addition of baskets. These big chunky round handled baskets are swoon-worthy. Just think of all the organizing you will do with a set of baskets like these! 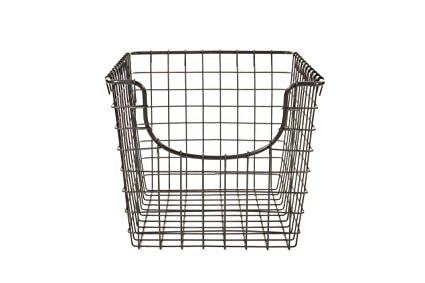 I think metal baskets are also a sincere ode to rustic decor. 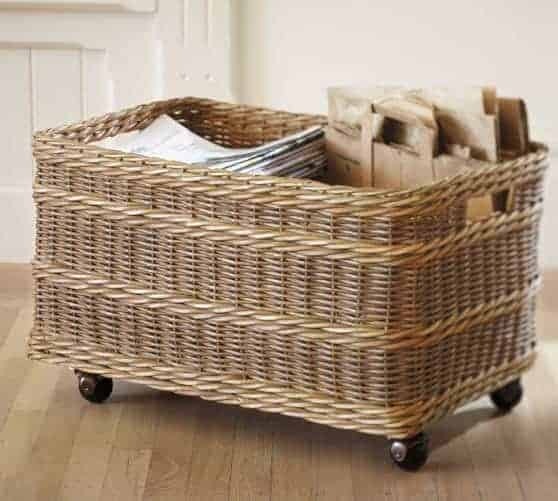 Another great idea for storage of large and small items depending on the size of the basket that you have. While I am dishing about baskets, I just had to show off this rolling recycling basket. Isn’t it just beautiful. That is the prettiest mode of recycling that I’ve ever seen! 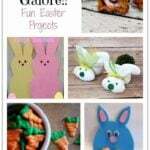 I hope that you guys have enjoyed seeing these fun rustic decor items. Be sure to pin this post so you can come back to it later! Love Rustic, but prefer the farmhouse look? 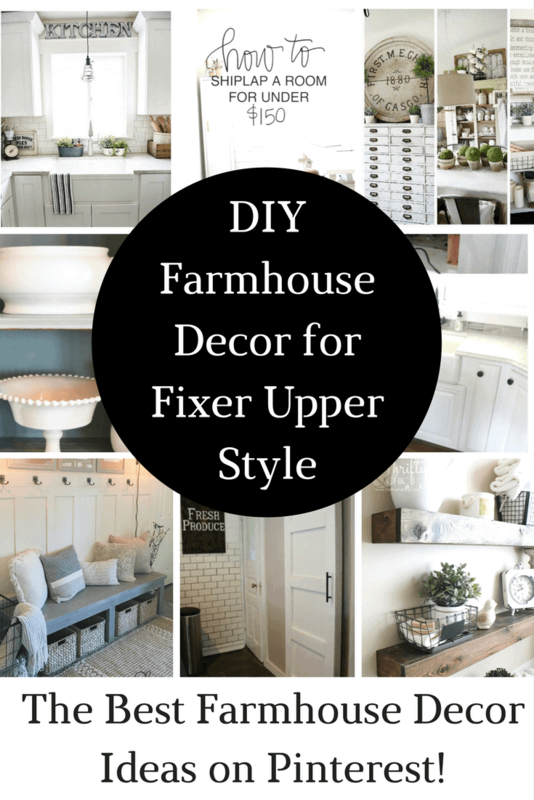 Look no further, we have some great farmhouse style DIY ideas to share with you! I love those pottery barn shelves that are leaning against the wall. They’d be great in my house. Because you can see the wall through them, they won’t look to big or bulky, or make the room look too small. I liked the way you have made acquainted with rustic home decor. This is some incredible great work and I am totally inspired with your work. I got some great ideas from this article. Thanks for sharing. Lovely ideas! I’m more and more into rustic style and I consider changing some things at home and your post is realy inspiring and useful!